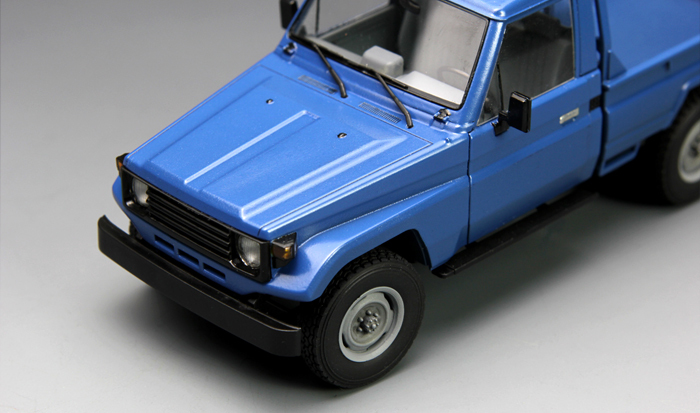 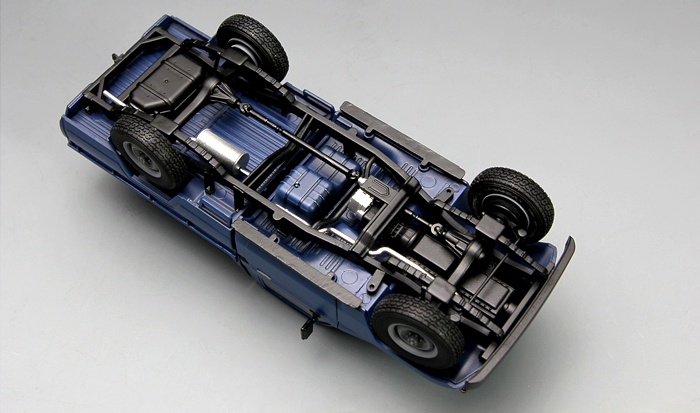 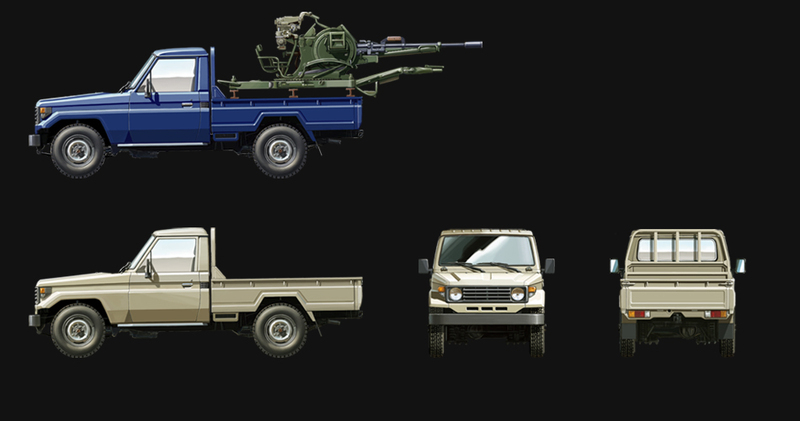 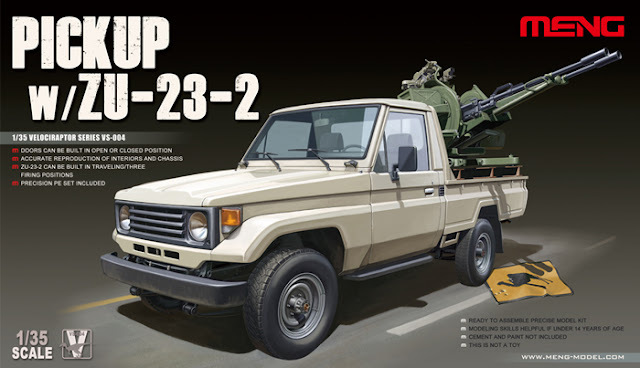 The Modelling News: MENG pick up W/ ZU-23-2 - now on Video! 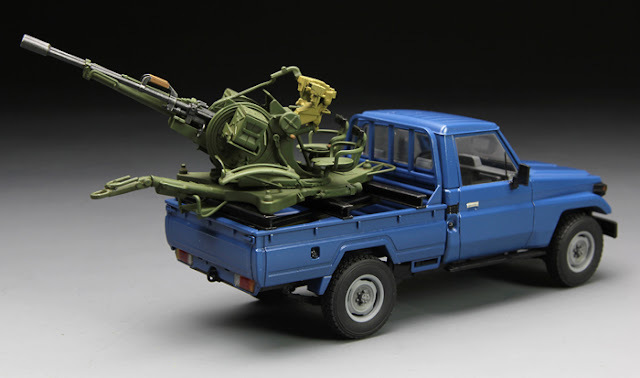 MENG pick up W/ ZU-23-2 - now on Video! 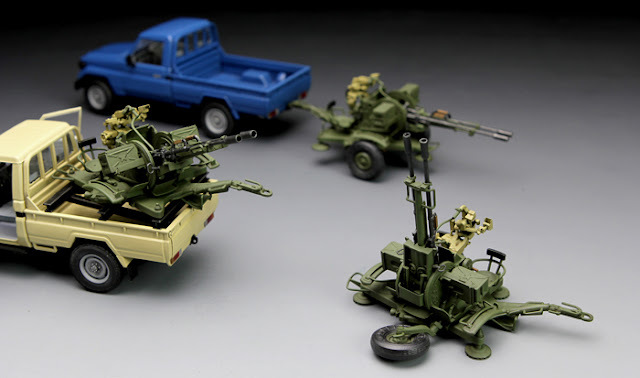 MENG share a new Video For VS-004 1/35 Pickup W/ZU-23-2 Model Kit – over half an hour of free tutelage – Ohh what a feeling! 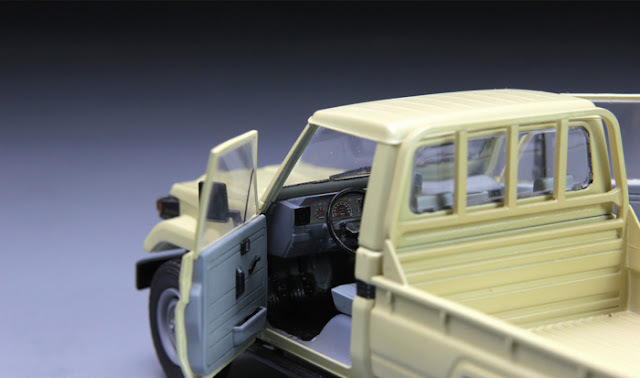 This 1/35 scale plastic kit of Pickup w/ZU-23-2 is a faithful replica of the real vehicle with accurate outline as well as interior details and optional door positions. 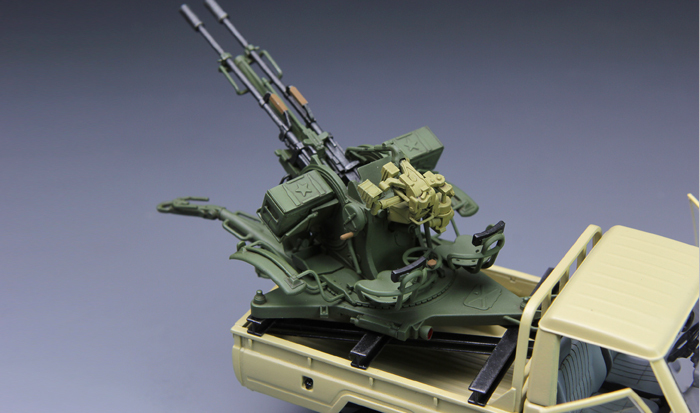 Complex structure of ZU-23-2 AA gun is also accurately modelled with traveling/three firing positions available. 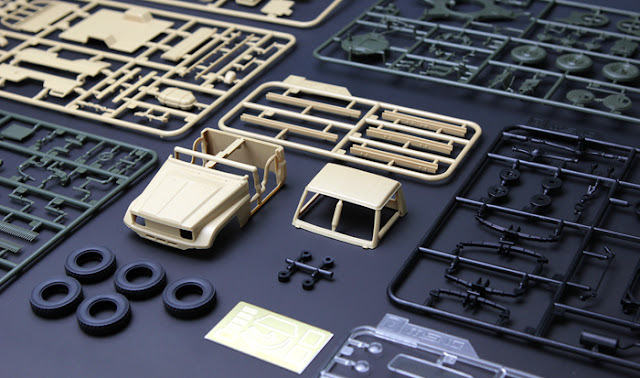 Precision PE set is included. 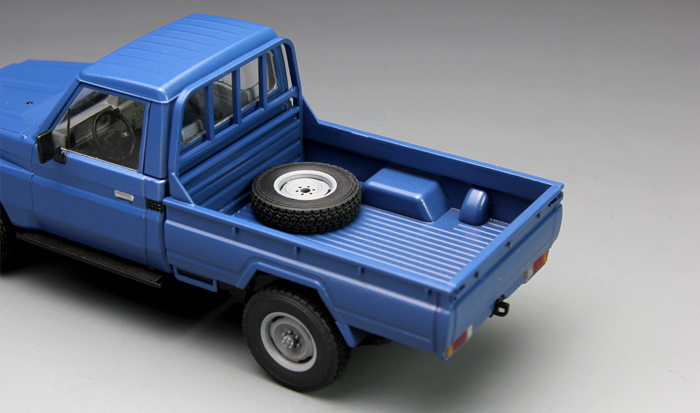 Two painting schemes for the Pickup are provided. This accurately modelled pickup is precise and detailed; all lights are made in clear parts to reproduce the real ones to the maximum. The AA gun is precisely modelled and its complex elevation mechanism is reproduced as the real thing. 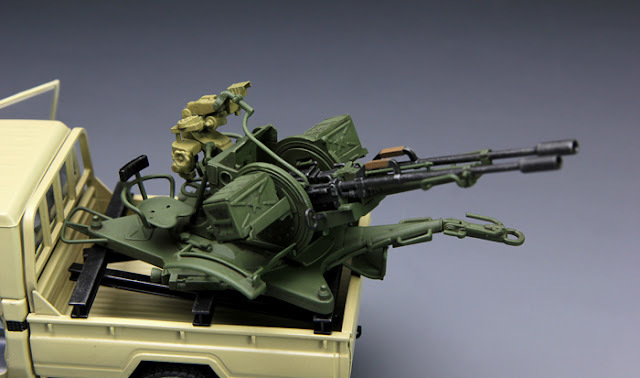 This kit is available at MENG’s distributors worldwide very soon..